Military pension is a tricky thing to discuss. It’s not as cut-and-dried like the civilian retirement pay or pension. Uncle Sam has instituted this pay scheme for some time now and its principle stays the same — save for some amendments. But lobbyists from the legislative section of the government have made some noise regarding the ballooning military personnel expenditures. A lot of veterans, who are beneficiaries of the military’s retirement benefit scheme, are vehemently opposing this move. Time will tell if the cuts push through or not. This payment scheme is given to Enlisted Members and Officers who entered the service before September 1980. The computation of this pay program is straightforward. The retirement pay is computed by multiplying the service factor, set at 2.5%, for the number of years of active service. This percentage determines how much the retiree will get as his monthly retirement pay by then multiplying it with the base pay at the time of retirement. 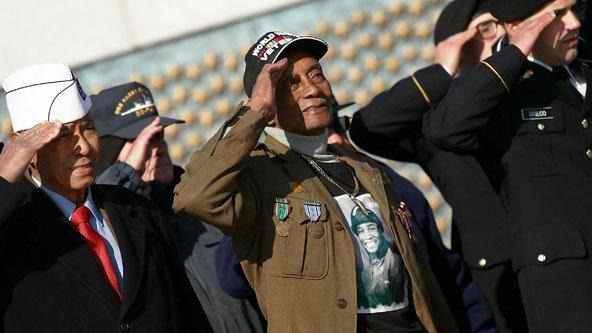 Let’s say, an enlisted member with the rank of Private First Class retired from service after 25 years. His last basic pay before retirement was $4,000. With this payment scheme, the retired Enlisted Member will receive a pension of $2,500 per month for life. Every serviceman who entered the service after September 1980 computes their pay using the High 36 program. This program still uses the 2.5% service factor and multiplies it with the number of active service years. The difference is that instead of the base pay at the time of retirement, the highest pay recorded in a 36-month period is used. And to make sure that pension rates stay competitive, a Cost of Living factor is added through the Consumer Price Index. This means that the pay rate increases together with inflation. Let’s take the example above and still set the highest 36 months of pay at $4,000. With this payment scheme, the retired Enlisted Member will receive an extra $50 a month to cover for the inflation rate. This rate is adjusted every year so retirees’ pays increase as the inflation rate rises. This program allows a serviceman to get an outright $30,000 bonus during retirement. But because of the early payout, the service factor is reduced by a percent for every year short of 30 years. This program still uses the highest pay recorded in a 36-month period. The REDUX program terminates once the retiree turns 62 years old. At age 62, the retiree starts receiving the High 36 payment. With this payment scheme, the retiree gets $30,000 upfront when he retires. But he also foregoes $204 each month until he reaches the age of 62. We hope this guide on how to compute military pension has been helpful. There’s actually an online retirement calculator you can use. For additional details, you can also contact the Armed Forces’ Service Secretary’s Office for more information about military pension pay. Should I Consolidate My Student Loans: SECRETS Revealed!